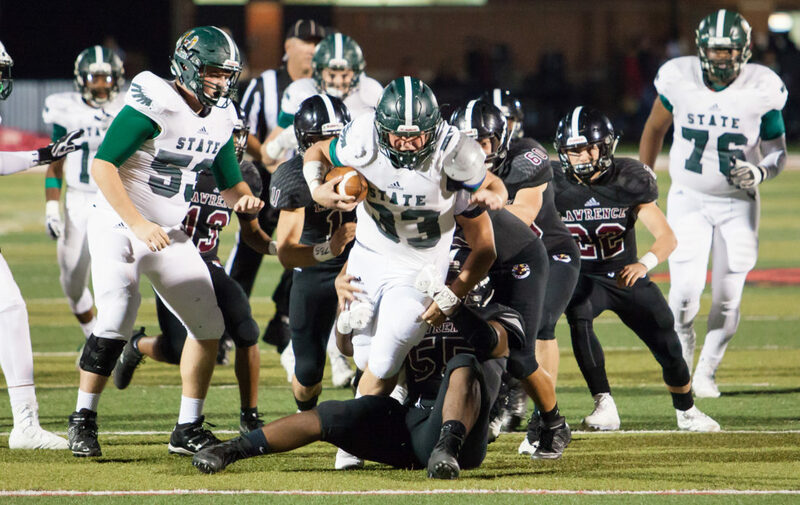 Free State junior running back Jax Dineen tries to break away from Lawrence defensive lineman E.J. Jewsome during the City Showdown on Friday, Oct. 20, 2017 at LHS. 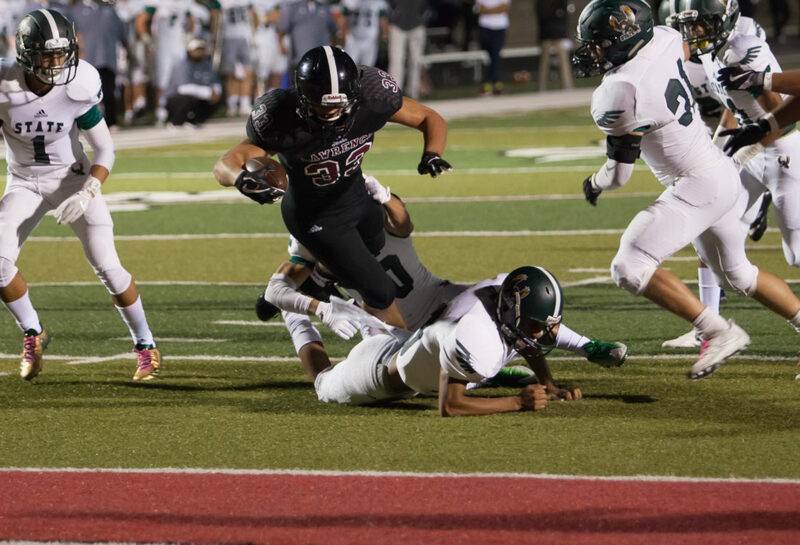 Lawrence High senior running back Hunter Krom dives for the goal line in the first quarter of the City Showdown against Free State on Friday, Oct. 20, 2017 at LHS. 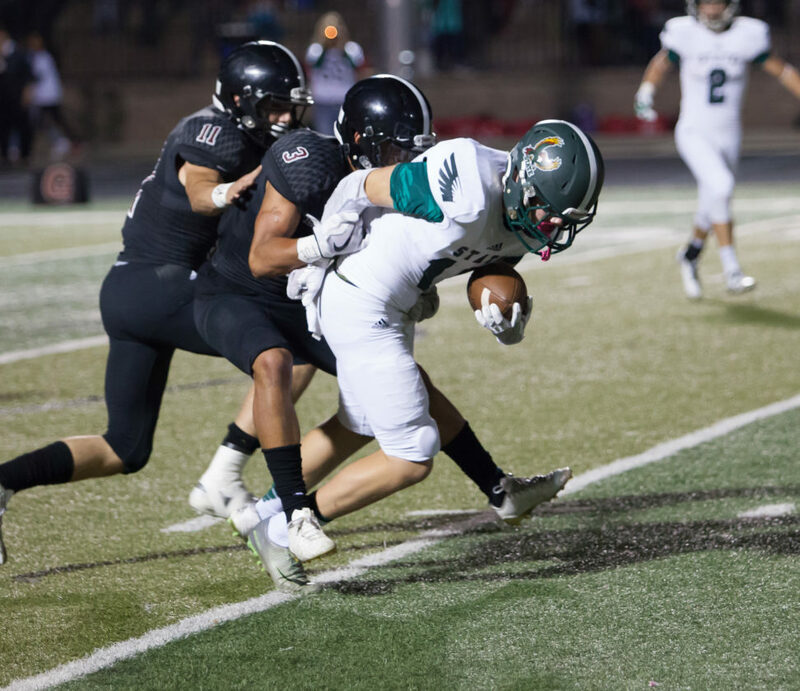 Free State junior receiver Keenan Garber slips past a Lawrence High defender during the City Showdown on Friday, Oct. 20, 2017 at LHS. 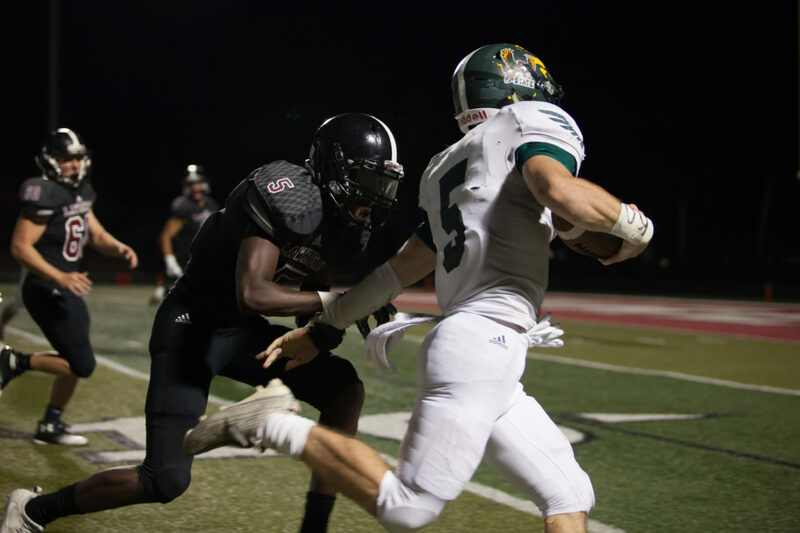 Free State senior quarterback Gage Foster puts a stiff arm on Lawrence High linebacker Ja'Relle Dye (14) during the second quarter of the City Showdown on Friday, Oct. 20, 2017 at LHS. 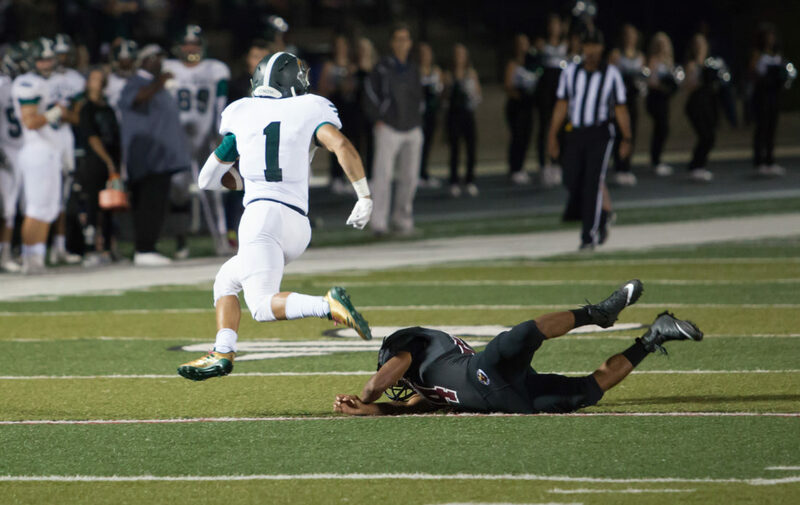 Free State senior receiver Jake Rittman tries to pull away from a tackle by Lawrence High cornerback Jalen Dudley during the City Showdown on Friday, Oct. 20, 2017 at LHS. 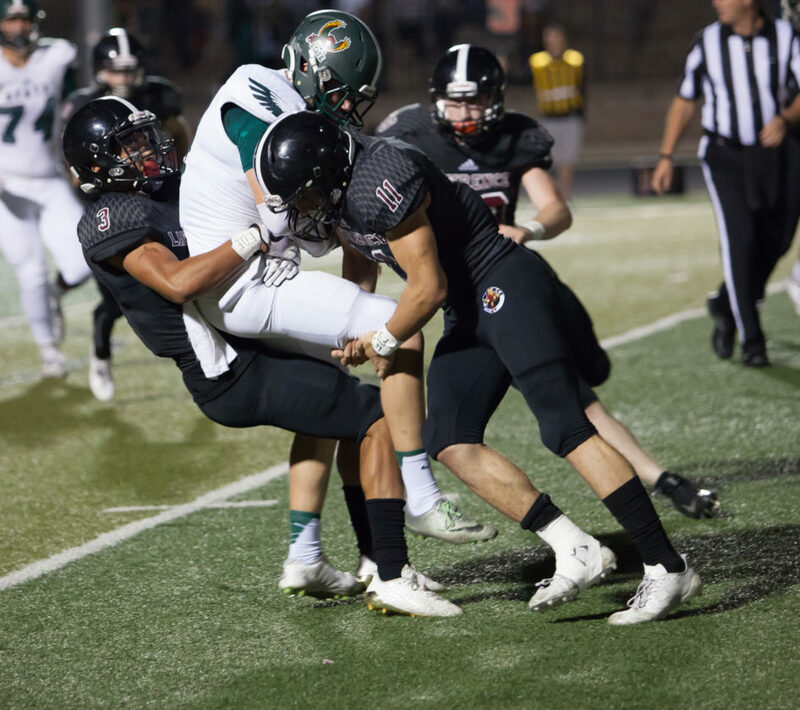 Lawrence High cornerback Jalen Dudley (3) and linebacker Caleb Mondi (11) deliver a hit on Free State receiver Jake Rittman (17) during the City Showdown on Friday, Oct. 20, 2017 at LHS. 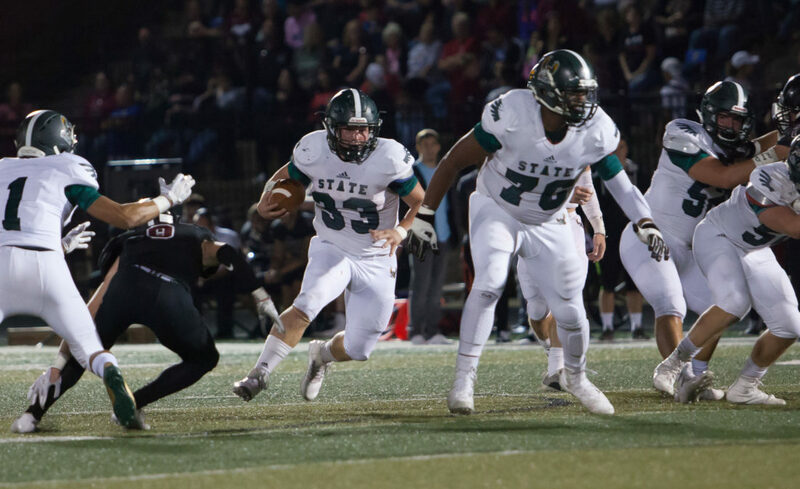 Free State junior running back Jax Dineen looks for running lanes against Lawrence High's defense during the City Showdown on Friday, Oct. 20, 2017 at LHS. 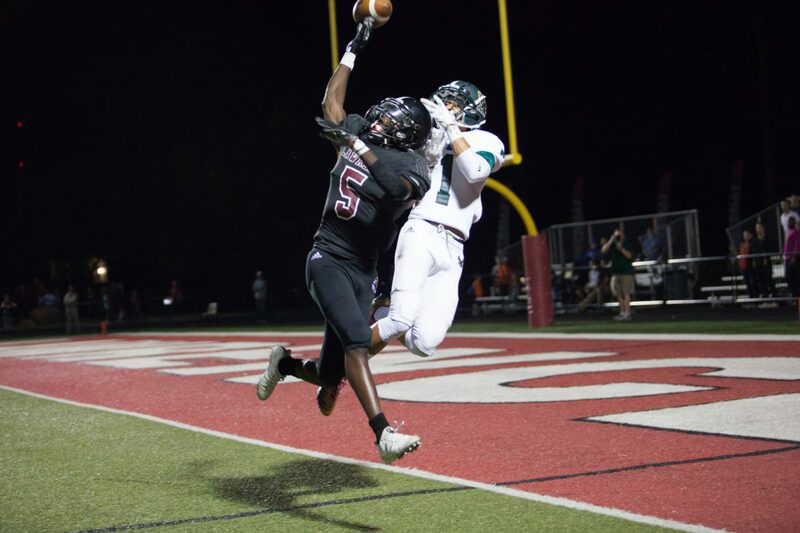 Lawrence High senior defensive back Ekow Boye-Doe breaks up a pass intended for Free State's Keenan Garber near the goal line in the City Showdown on Friday, Oct. 20, 2017 at LHS. 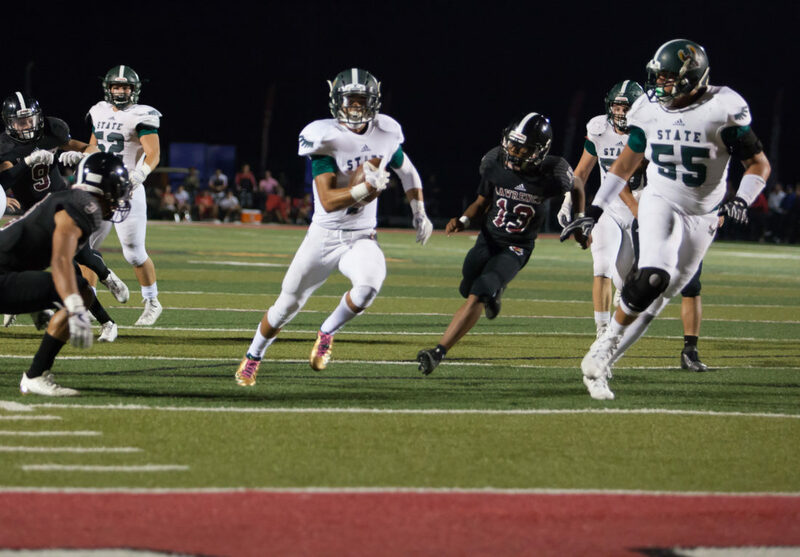 Free State junior Keenan Garber runs past Lawrence High's defense on his way to the end zone during the City Showdown on Friday, Oct. 20, 2017 at LHS. 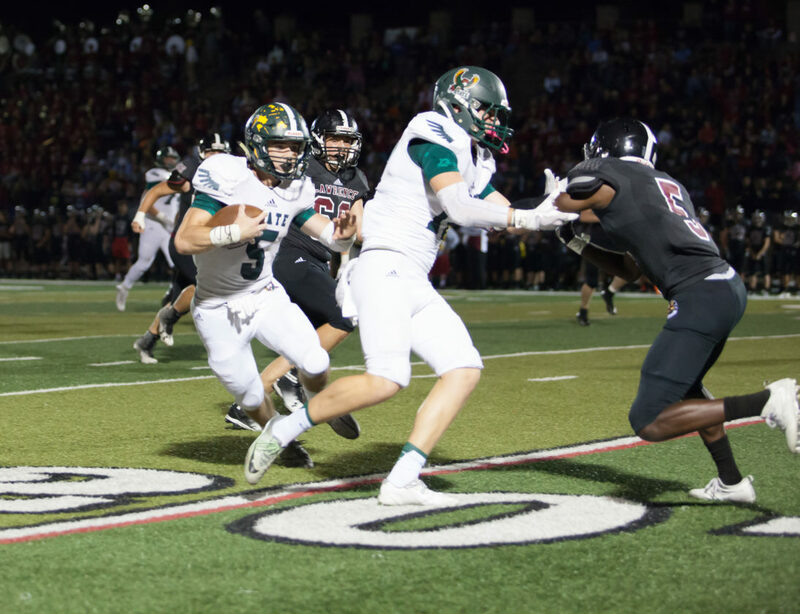 Free State senior quarterback Gage Foster runs behind a block from receiver Jake Rittman during the City Showdown against Lawrence High on Friday, Oct. 20, 2017 at LHS. 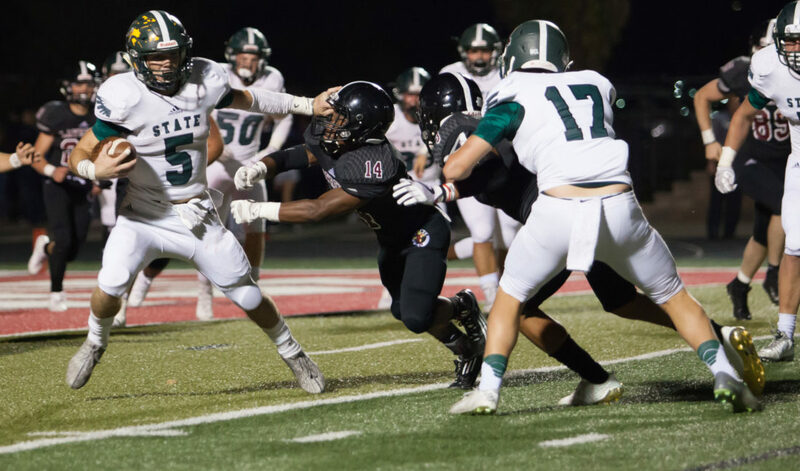 Lawrence High cornerback Ekow Boye-Doe prepares to hit Free State quarterback Gage Foster during the City Showdown on Friday, Oct. 20, 2017 at LHS.